The Jaguars allowed only 183 total yards and seven points in their Week 16 win over the Dolphins. 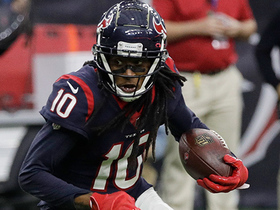 They will face the Texans in the season finale. The Jaguars enter their Week 16 game against the Dolphins ranked sixth in total defense (318.4 YPG) and scoring defense (20.6 PPG). The Jaguars enter Week 15 yielding the league's sixth-best total defense (324.1 YPG). The Jaguars held the Colts to just 265 total yards during Sunday's 6-0 shutout win. The Jaguars boast the league's fifth-best total defense (320.2 YPG) entering Week 13's divisional tilt with the Colts. The Jaguars boast the league's fourth-ranked total defense (319.5 YPG) heading into their Week 12 game against the Bills. The Jaguars boast the league's third-ranked total defense (319.1 YPG) entering their Week 11 matchup with Pittsburgh. Jaguars cornerback A.J. 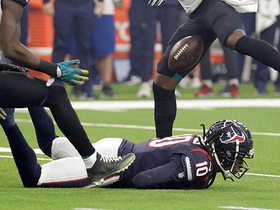 Bouye is dealing with a calf injury as Sunday's game against the Colts inches closer. Jaguars cornerback A.J. 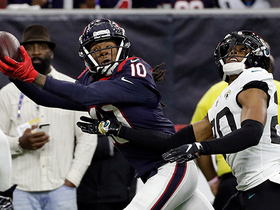 Bouye is nursing a calf injury ahead of Sunday's game against the Eagles in London. 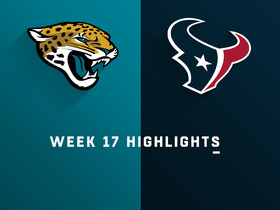 The Jaguars have allowed 70 points over the last two weeks as they head into Sunday's matchup with the Texans. 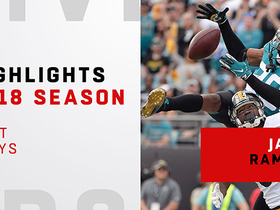 The Jaguars conceded a season-high 30 points during last week's blowout loss to the Chiefs. They'll draw a matchup with the Cowboys in Week 6. 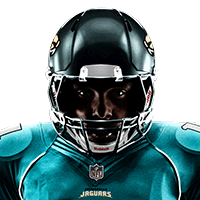 The Jaguars limited the Jets to 12 points in Week 4. They'll get a stiffer test in Week 5 against the Chiefs in Kansas City. Jaguars defensive end Calais Campbell (ankle) is listed as questionable fo Sunday's tilt with the Jets. Jaguars defensive end Calais Campbell (eye) is considered to be questionable ahead of Sunday's game against the Titans. 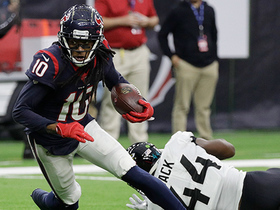 The Jags held the Giants to just 15 points during Sunday's 20-15 win. The Jaguars starting defense is fully healthy heading in Sunday's regular season finale against the Titans. The Jaguars have the best scoring defense in the NFL, allowing 14.9 points per game. The Jaguars starting defense remains fully healthy heading into Sunday's AFC South game against the Texans. Jaguars cornerback Jalen Ramsey is nursing an ankle injury ahead of Sunday's game against the Seahawks. Analysis: Ramsey's availability could hold significant weight on Sunday's forecast. With MVP candidate Russell Wilson across the ball, the Jaguars will face one of their toughest tests this season. If you have been fortunate enough to have them on your side up to this point, you realize how dominant Jacksonville has been all year long. We're not suggesting to avoid the Jags, but rather be wary of the various possibilities given Wilson's ability to move around the pocket and avoid the rush. Jacksonville ranks as the league's top scoring and total defense entering Week 13. Analysis: Sacksonville has been nothing short of exceptional this season. With an inferior Colts offense on the horizon, it won't take much convincing to get you in support of the Jags defense this week. For starters, the Jags not only led the way in total defense (288.1 YPG) and scoring defense (15.3 PPG), but Jacksonville ranks second across the league with 25 takeaways this year. Jalen Ramsey and company are clicking on all cylinders and there's nothing to suggest Sunday won't be more of the same. Cornerback Jalen Ramsey injured his hand Friday and is listed as questionable for Sunday's game against the Cardinals. The Jaguars continue to lead the NFL with 35 sacks on the season. Jacksonville defensive tackle Marcell Dareus is dealing with an illness ahead of Sunday's game against the Chargers. 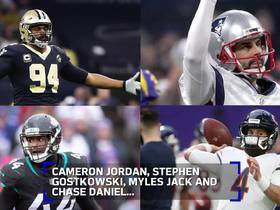 Analysis: Even without Dareus the Jaguars defensive front has been dominant this season, so much so that the team's official twitter account has publicly changed its name to Sackonsville. The new name is warranted considering the Jags lead the NFL with 35.0 sacks through eight games. The Chargers could present some troubles given Melvin Gordon's emergence into the national spotlight, but the Jags are a strong play this week if you've got them. 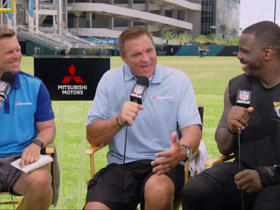 Jacksonville Jaguars defensive tackle Malik Jackson shares his thoughts on the team's defensive philosophy and singles out players that have stood out to him. Jacksonville Jaguars cornerback A.J. 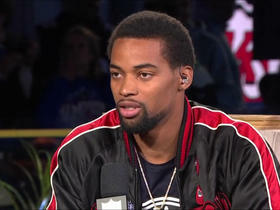 Bouye joins "Super Bowl Live." 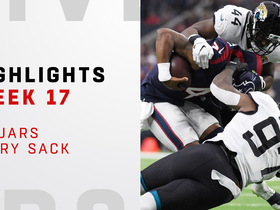 Watch every sack delivered by the Jacksonville Jaguars defense vs. the Houston Texans in Week 17 of the 2018 NFL season.